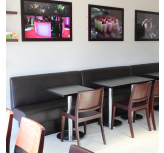 We offer a vast range of Fixed and Banquette Seating solutions comprising different shapes, back styles, configurations and custom elements. 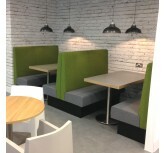 All of our Banquette Seating is designed and made here in the UK, so we can build to custom specifications with no problem whatsoever. 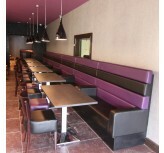 Banquette seating is a stylish, space-saving seating solution that is ideal for restaurants, cafes, bars and nightclubs. 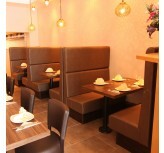 Our collection of banquette seating styles will not only help you to seat more people more comfortably, but also provide a distinctive and attractive interior to help you stand out from the rest and grow a thriving customer base. 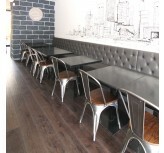 With our expansive range of vinyls, fabrics and genuine leathers offering more than 200 colour choices, you can tailor your banquette seating to create something unique to your establishment. 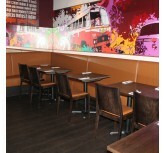 Particularly in the catering and service industries, space is important. 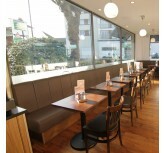 Maximising your premises is key to maximising your profits, and is crucial to your success. 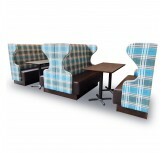 At the Cube Company, we know that you aren't in the business of turning down custom, and that's exactly what happens with inefficient seating and fitting. 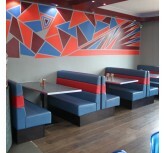 We work with customers and clients across the country to assist them in this area — designing bespoke banquette seating that allows more customers to sit comfortably, and makes the most of your four walls. But no four walls are alike. 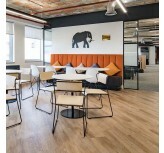 Anyone who has ever had to move furniture into a new home will know how difficult it can be — there are minor obstructions from doorways to bannisters to skirting boards that can make the difference between an item fitting into space, or not. There are often millimetres in it. 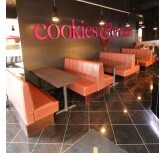 That's why we encourage our clients to choose our very wide range of bespoke options. 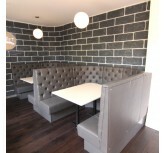 Not only do we have a great selection of styles, materials and varieties to choose from, we ensure that each and every one will fit how and where you need it. 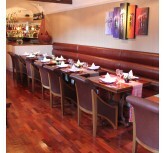 Not only will we make sure that your space is arranged to maximise your custom, we'll make sure it looks fantastic too. 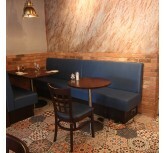 Banquette seating is a fashionable and classic look for your space — used for many generations to provide an atmosphere that can be both formal and informal, private and communal. 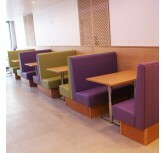 Let's take a look at the various types of banquette seating that we offer at the Cube Company, and think about how they can work for you. 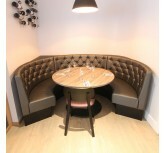 Our wide range of fluted banquette seating styles are well-suited to a range of decors and aesthetics. 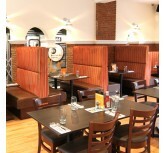 The clean lines of fluted seating are a classic in restaurant design, and often work well in sectioning off seating areas so that customers don't get in each other's space. 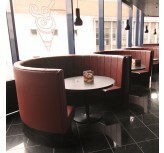 These fluted seating options come in a range of styles, and evoke everything from American-style diners to distinctive metallic-look panelling, perfect for nightclubs and bars. 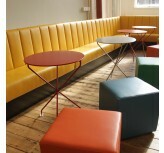 The deep-buttoned styles are perfect for catering and hospitality spaces that want to add an air of luxury and sophistication to proceedings. 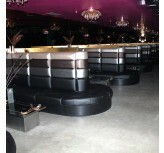 These opulent and very comfortable designs are perfect for the likes of cocktail bars and upmarket restaurants and come in a range of materials so that you can always match your deep-buttoned seating with the fabrics and aesthetic of the rest of your establishment. 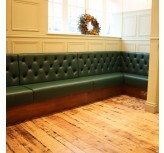 Try our dimple-backed seating for a distinctive blend of clean, fluted panelling, comfortable quilting and classic, luxurious buttoning. 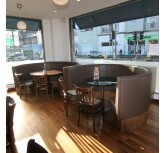 Booth seating allows parties that extra bit of privacy and is a classic look for bars, cafes, diners, pubs and restaurants. 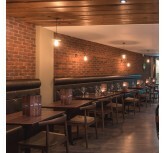 Go circular for a look that's full-on USA, and ensure a convivial atmosphere for your customers, fit wingback booths for a more private experience, or offer grandback seats for pure, supportive luxury. 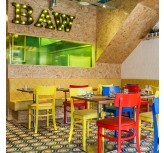 Whichever you choose, there is a wealth of beautiful materials to choose and make the space your own. 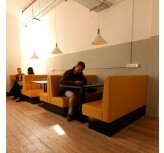 There's also an increasing trend towards banquette booth seating for office and workspaces — perfect for both small teams and individual work alike. 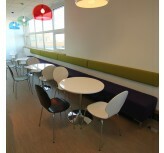 We have a range of options and styles that will make your office space a very attractive one to work in. 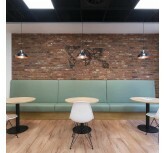 Our plain styles fit along the walls and really make the most of your premises — transferring a structural element into a profit-turning opportunity. 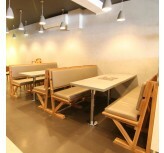 We have casual deli-style seating that allows for a more casual experience, and our other plain back versions will fit with any look. 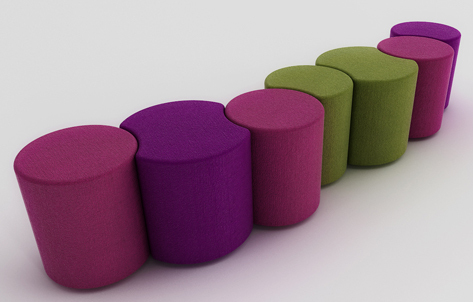 These are perfect for providing simple, elegant and efficient seating for a range of purposes. 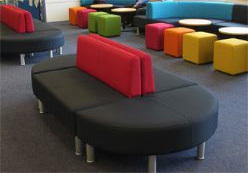 Whether you're opting for a quilted, buttoned, panelled or plain design, you can be positive that you will be receiving the best in UK designed, hand-built seating for your business. Our useful 'Add to Quote' feature allows you to quickly and easily request quotes with whatever information you have available for your size and style requirements — it doesn't even matter if you haven't chosen your colours yet. 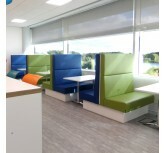 As all of our seating is designed and made right here in the UK, we can customise easily and quickly — perfect for when you need a quick turnaround. 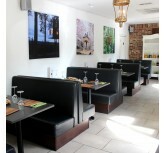 Whether you're refurbishing or starting out from scratch, we want to hear from you to discuss your needs and talk about how our bespoke banquette seating options can work for you.